Please help us Remember, Honor, and Teach on Saturday, December 14, 2019 at 12:00 PM by sponsoring a wreath, volunteering, or inviting friends to help. "Everyone Plays A Part" What part will you be playing this year? Welcome to the Crownsville Veterans' Cemetery 's Wreaths Across America Page. On Saturday, December 14, 2019 at 12:00 PM, Wreaths Across America will be at Crownsville Veterans' Cemetery to Remember and Honor our veterans through the laying of Remembrance wreaths on the graves of our country's fallen heroes and the act of saying the name of each and every veteran aloud. 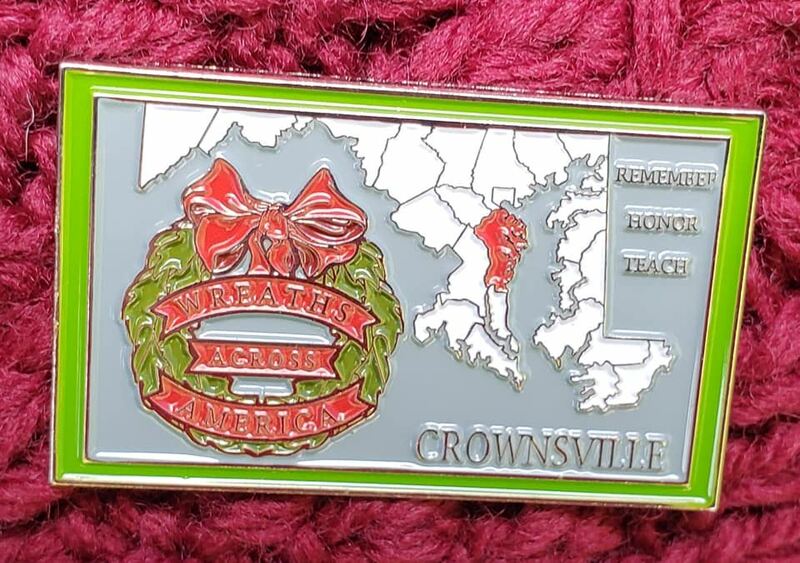 Thank you so much for supporting Crownsville Veterans' Cemetery and Wreaths Across America! We love and miss you Pop F. Thank you for your service to our country and your guidance in our lives. Check out 155 "Remember" recent messages from our supporters. Click "View Remember Wall" to see them all. Welcome to Crownsville WAA (MD0235)! Our location fundraising group is proud to support Crownsville Veterans' Cemetery and to help honor and remember as many veterans as possible. Please click "View" to learn more about our effort and then click "Volunteer" to join us for National Wreaths Across America Day. Thank you so much!